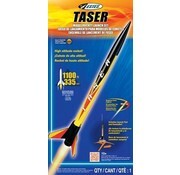 This is the Taser Flying Model Rocket Launch Set by Estes. The Taser rocket is 17 inches tall. With its custom three-fin design, it climbs to an outta sight altitude of over 1,000 feet. 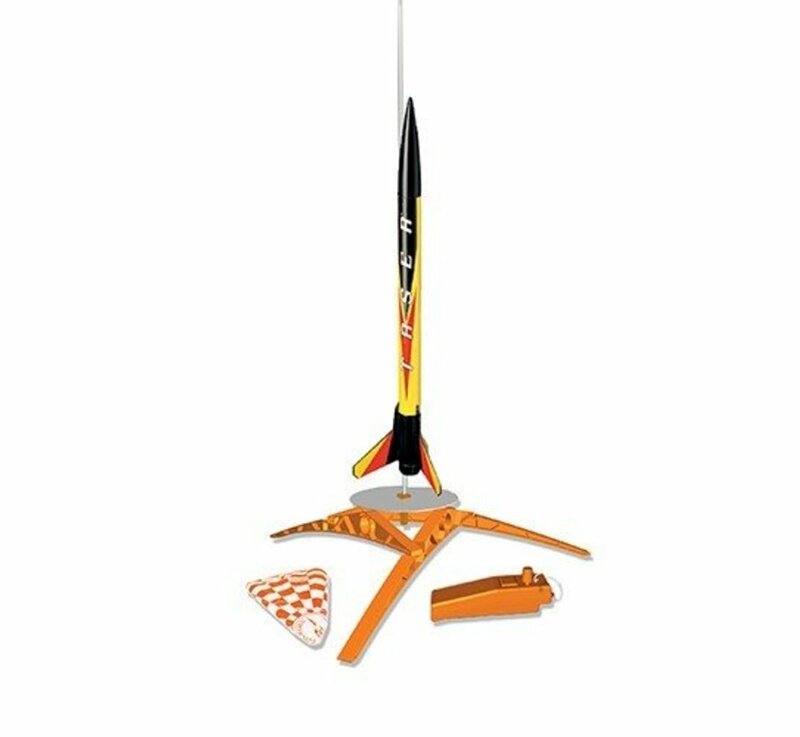 A bright-colored 12 inch preassembled parachute returns this rocket back to the launch site. 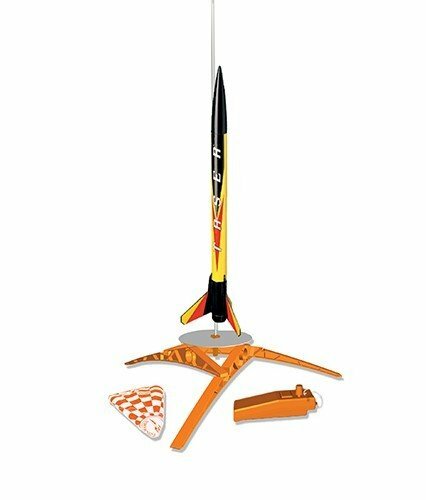 You'll be ready in minutes for another extreme launch experience!